Throughout His life Jesus has one purpose for living – to do the will of the Father. A fleeting glance at the 12-year-old Christ showed, I am about My Father’ business. We have brief glimpses to show that Jesus came into the world to do God’s will. Luke writes to tell us that the young Jesus increased in wisdom and stature, and in favour with God and man. 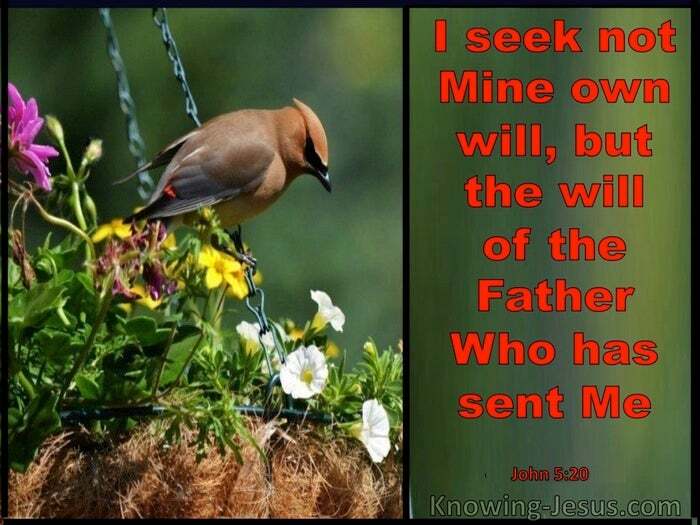 Luke 2:52 Christ never deviated from His sole life’s mission – to carry out His Father’s will. Christ readily laid aside His glory so that He could identify with the children of men. He willingly disrobed Himself of His attributes of Godhead to live as a man. He came from above not to do His own will but the will of the Father Who sent Him. His joy in carrying out His Father’s will became His nourishment and great delight. Christ never wavered throughout His life from the purpose for which He came. We read in the book of Hebrews: Behold, I have come to do your will, O God, as it is written of Me in the scroll of the book – Hebrews 10:7 Oh yes, from Genesis to Revelation we discover that it all points to Christ Jesus – the God-man Who emptied Himself to become like one of us show us how to live. Christ lived and talked and walked and prayed and demonstrated what godliness was. He demonstrated how man can function in perfect union and communion with God. He showed us by His own life that this was the way that God expects all men to live. His sinless life and perfect example demonstrated that in Him we too can live godly.. not in our own strength – for in ourself dwells no good thing – but in His strength and power and sufficiency we CAN live godly in Christ Jesus. NOW– THIS IS THE SCORE: God knows that fallen man can never ever function in spirit and in truth by himself, God knows that our old sin nature makes it impossible to live as He wants us to live. So God sent Christ – not only to be an example, demonstrating HOW to live……. 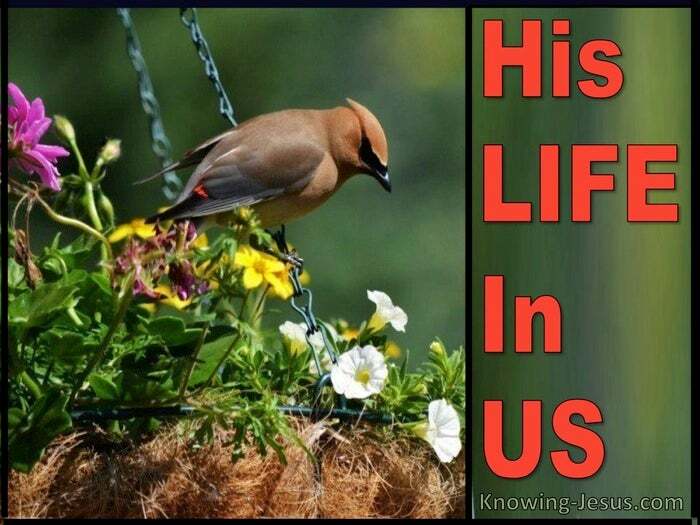 but so that He could become our LIFE in US – so that in HIM we too can live godly in Christ Jesus. Because He was perfect, we could never COPY His life – for we are not perfect. So the only way that we can live LIKE Christ is to have HIS LIFE IN US.. but in order for His life to become OUR life – He first had to pay the penalty for our sin, and only He could pay that penalty – for only He was perfect and lived perfectly. His perfect life made Him the perfect candidate to be the one and only perfect sacrifice. His death paid the price for the sin of the world – including your sin and mine. His resurrection broke the power of sin in our life – for all that believe on His name – and because the power of death was broken in US – we have HIS LIFE IN US..by faith. Throughout His life Jesus had ONE purpose for living- to do the will of His Father. Throughout our life we should have one purpose – to let Christ be formed in us.. until it is not I that live – but Christ that lives in me.